Our guide to Houston will help you find the best vegetarian restaurants in Houston Texas. Houston is the fourth-largest city in the United States, the largest city within the state of Texas, and "the energy capital of the world." In the mid-twentieth century, Houston became the home of the Texas Medical Center—the world's largest concentration of healthcare and research institutions—and NASA's Johnson Space Center, where the Mission Control Center is located. Houston is a multicultural city, in part because of its many academic institutions and strong industries. Houston has an active visual and performing arts scene. The Theater District is located downtown and is home to nine major performing arts organizations and six performance halls. There are tons of great vegetarian restaurants in the city of Houston, our city guide will help you find the best vegetarian restaurants. You may have a hard time deciding what to do in Houston, but we make your decision easy. 10758 Farm-To-Market Rd 1960, (281) 955-9878 - East West Chat and Sweet is a vegetarian restaurant located in Houston TX. 10804 Bellaire Blvd, (281) 498-7890 - Beyond your imagination. We provide foods for your healthy life. Tastes like chicken, and chews like beef. Really. But it's not. 22442 State Hwy 249, (281) 655-0001 - My Le Restaurant is a vegetarian restaurant located in Houston TX. 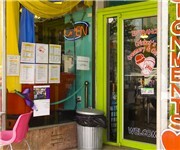 3815 Live Oak St, (713) 334-5555 - The Vegan Cafe is a vegetarian restaurant located in Houston TX. 403 Westheimer Rd, (713) 522-8903 - Mango's Cafe is a vegetarian restaurant located in Houston TX. 412 W Clay St, (713) 807-0101 - Pat Greer's Kitchen is a vegetarian restaurant located in Houston TX. 4915 Martin Luther King Jr Blvd, (713) 643-2884 - Sunfired Foods is a vegetarian restaurant located in Houston TX. 5827 Hillcroft St, (713) 780-4453 - Bombay Sweets is a vegetarian restaurant located in Houston TX. 5959 Hillcroft St, (713) 334-5555 - Udipi Cafe is a vegetarian restaurant located in Houston TX. 6119 Edloe St, (713) 666-4302 - Nestled in the heart of West University Place, the Edloe Street Café and Deli opened in 1976. George Boehme bought the restaurant in February 2008. 6445 Wilcrest Dr, (281) 988-5666 - San San Tofu is a vegetarian restaurant located in Houston TX. 6855 SW Fwy, (713) 777-6900 - Bhojan is a vegetarian restaurant located in Houston TX. 8800 W Sam Houston Pkwy S, (713) 777-1988 - Hometown Vegetarian Cafe is a vegetarian restaurant located in Houston TX. 8800 W Sam Houston Pkwy S, (281) 564-3222 - Veggie Wonderland is a vegetarian restaurant located in Houston TX. 9108 Bellaire Blvd, (713) 772-2888 - Pine Forest Garden is a vegetarian restaurant located in Houston TX. Fm 1960 Rd W, (713) 334-5555 - Udipi is a vegetarian restaurant located in Houston TX. 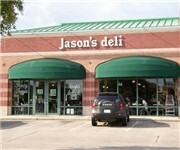 428 W Greens Rd, (281) 875-1669 - Just Juice is a vegetarian juice / smoothy store located in Houston TX. 315 W 19th St, (713) 869-9450 - Crickets Creamery and Caffe is a vegetarian coffeeshop / cafe located in Houston TX. 9250 Bellaire Blvd, (713) 270-5178 - May's Ice Cream is a vegetarian ice cream / dessert located in Houston TX. There are plenty more vegetarian restaurants in Houston. See all vegetarian restaurants in Houston Texas.